Our NYC product liability attorney Anthony H. Gair was recently recognized by Best Lawyers as the 2018 “Lawyer of the Year” for Product Liability Litigation – Plaintiffs in the New York City area. 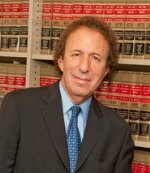 Congratulations to Ben Rubinowitz for being selected NYC Personal Injury “Lawyer of the Year”-Plaintiff 2017 by Best Lawyers in America. This is the third time that our managing partner has been selected Best Lawyer’s “Lawyer of the Year” by his peers. Last year Ben was named New York City “Lawyer of the Year” for Product Liability Litigation – Plaintiff 2016 and in 2013 Ben was selected by Best Lawyers as New York City Personal Injury “Lawyer of the Year”-Plaintiff. Ben Rubinowitz started his legal career more than 30 years ago and this award is a result of his hard work and dedication to helping people who have been injured by the negligence of others. Starting as a prosecutor, Ben honed remarkable trial skills and courtroom presence that have now become his hallmark. He then continued his career serving as a personal injury attorney and joined Gair, Gair, Conason, Rubinowitz, Bloom, Hershenhorn, Steigman & Mackauf in 1989. 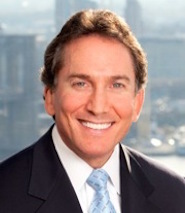 In 2013 Ben replaced Robert Conason as managing partner of our firm. Ben has achieved numerous verdicts and settlements in excess of one million dollars. A few months ago, Ben and our partner Jeffrey Bloom reached a substantial confidential settlement in The Joan Rivers medical malpractice case. Ben also represented the family of Marylin Dershowitz, a retired Manhattan Supreme Court special referee who died in a bicycle accident. Ben obtained a $4.6 million verdict for her family. In another recent case Ben obtained a verdict of $27.5 million for a pedestrian who lost her leg after being struck by a bus. Congratulations to our managing partner Ben Rubinowitz for being recognized by Best Lawyers® as the 2016 Product Liability Litigation – Plaintiffs “Lawyer of the Year” in New York City. This is in recognition of his history of helping people injured by the negligence and carelessness of others.